Made-to-order, Gorgeous peacock blue silk dress, lovely soft ruffle 'halter' neckline, with a great back view! 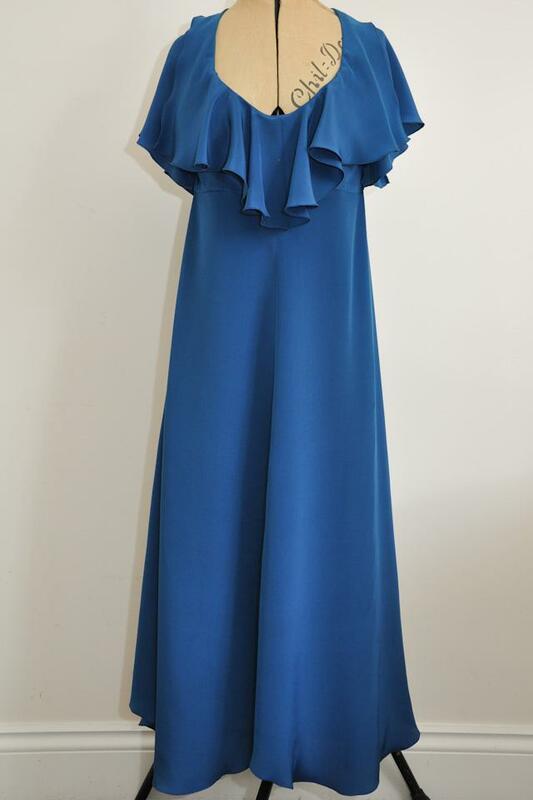 A 'Hope' made-to-measure dress, that can come in a choice of colours and lengths, very versatile for different occasions - lovely! Much better on than in the picture by the way..proper 70s cool and a great open back.